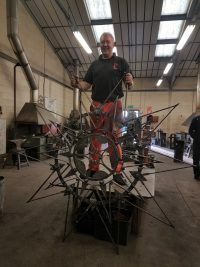 Paul Mikula is a traditionally trained South African Blacksmith with28 years’ experience, specialising in forging functional, decorative and sculptural ironworks. Due to failing infrastructure and a collapsing power grid he decided to convert his business and house to run off- grid. His family lives on 165 hectares of veldt overlooking a nuclear facility. There they have a small hotel, Paul’s forge and three households living entirely off-grid. Solar power takes care of their energy needs and three massive reservoirs store rainwater. Paul was invited to run a masterclass at Hereford College of Arts which is a project that embodies collaboration with artist blacksmith students from across all three years. Students came together with this international master to work on a design, and the piece they designed with Paul was called ‘African Sun Mandala.’ The design represents the sun of Africa and growth from the centre of the Mandala. 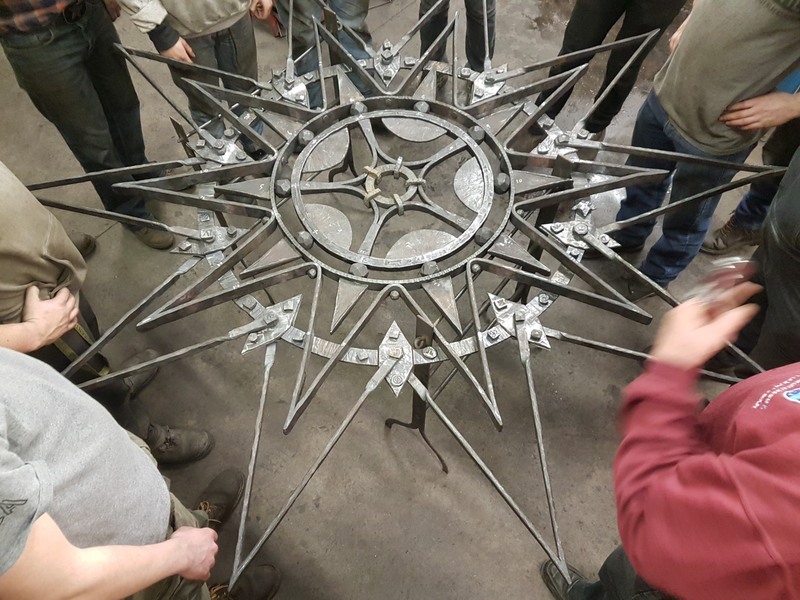 The individual pieces making up the mandala incorporated simple and technically difficult blacksmithing processes so that the students had the chance to forge according to their ability. 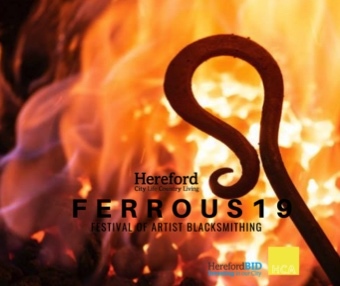 Martha Jones, a Photography degree student at Hereford College of Arts, produced a documentary photography essay of the masterclass, encapsulating the process of blacksmiths forging together to create this breathtakingly cultural piece.